Makai was awarded a $245 million ceiling IDIQ contract by the Navy for ocean engineering services for a period of 5 years. Makai will support the Naval Facilities Engineering and Expeditionary Warfare Center (NAVFAC EXWC), in Port Hueneme, California under this award. 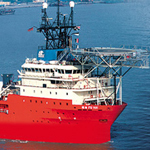 Tasks will leverage Makai’s diverse project experience to provide worldwide design and construction of ocean cable systems, ocean work systems (i.e., shipboard load handling systems and undersea work systems), waterfront facilities, offshore structures, moorings, and ocean construction equipment. Makai is excited to work with our government customers and subcontractors to provide services at Makai’s high standard of quality under this award. 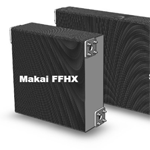 Makai has been awarded a Phase I SBIR contract to develop Ultra-Compact Heat Exchangers for the U.S. Air Force. 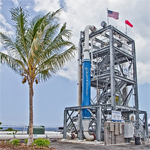 The proposed system is based on the thin walled titanium heat exchangers originally developed for ocean energy applications in our Heat Exchanger Manufacturing and R&D Facility in Kailua-Kona, that was constructed in late 2016. The heat exchanger utilizes innovative manufacturing techniques that allow the system to conform to complex geometries, while providing increased efficiency. Testing shows a dramatic improvement in volumetric performance compared to industry standard heat exchanger technology. This Air Force SBIR award will allow Makai and its engineers to adapt our technology and prove its application in domains other than the one we are well known for; the ocean. For more information on our heat exchanger technology, see the August 2017 issue of our newsletter. Makai was awarded three more Navy Small Business Innovation Research and Small Business Technology Transfer (SBIR/STTR) contracts. The first contract is for straightening of vertical towed arrays while it is being towed, as the straightness of the array affects the accuracy of the sensors. The design will have to take into account the ocean’s currents and the towing vessel’s speed and path. The goal is to design a system that automatically accounts for these changing variables and straightens the vertical array along its entire length. The system will be designed to integrate with existing vertical array systems. 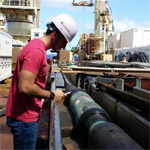 Makai’s experience modeling underwater cables and how they interact with the ocean environment positions our engineers well to tackle this project and design a viable solution. The second contract awarded to Makai is to develop a distributed temperature sensing tow cable system, to accurately measure the temperature in the water column along the length of a towed cable. Makai’s strong experience understanding the dynamics of towed cables and state-of-the-art fiber optic interrogation methods provides us with the foundation to develop a ruggedized solution to this problem that’s extensible to a variety of towed systems and oceanographic applications. Finally, we have been selected for an SBIR Phase II for further development of our horizontal towed array straightening system. 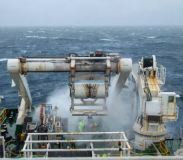 Seawater air conditioning, or SWAC, remains a hot topic in many Pacific, Indian Ocean, and Caribbean islands that have access to deep cold seawater. SWAC provides a low energy option for cooling buildings to help their occupants escape the hot climate. Makai recently concluded a SWAC feasibility study and conceptual design for Puerto Plata in the Dominican Republic. Makai’s conceptual design of the SWAC system would serve a resort area and downtown areas of Puerto Plata. This award follows an earlier development bank funded feasibility study that used Makai’s SWAC computer model to show that Puerto Plata was a technically and economically promising location for a SWAC system. For places like Caribbean islands that have large cooling loads with access to cold deep sea or lake water, SWAC systems have been proven to yield attractive economic returns and provide eco-friendly air conditioning. Exploring how to cultivate and harvest macroalgae (i.e., seaweed) for fuel using low-cost, low-energy technologies will be the central task in two Makai contracts (modeling as a prime and engineering design as a sub) that were recently kicked off under the Department of Energy, ARPA-E’s MARINER Program. Makai is tasked to design a system that will bring nutrient rich deep seawater up to fertilize a macroalgae farm on the ocean’s surface. Makai is teamed up with Kampachi Farms, LLC to produce a system that grows, harvests, and processes macroalgae, independently from any electrical grid or fossil fuels. Complex physical, nutrient, and biological modeling tools are being developed using Makai’s EFDC software. The goal is to have all of the following systems powered by alternative energies as to reduce the cost to produce the fuel and create a sustainable system. This project looks 50 years into the future with the hope of creating game-changing and sustainable technologies for alternative fuel source. Coastal macroalgae cultivation is a billion dollar industry in the Asian and European markets, and Makai is proud to be part of a team exploring options that could accelerate the world’s transition away from fossil fuels. Makai recently won a grant from the State of Hawaii, Hawaii Technology Development Corporation (HTDC) to advance the capabilities of our patented autonomous underwater vehicle. This funding will support deep water at-sea testing of the fully assembled prototype. The underwater vehicle will bury, install, and connect power and data cables underwater without a human in the loop, which will mark the first time this has ever been done, to our knowledge. 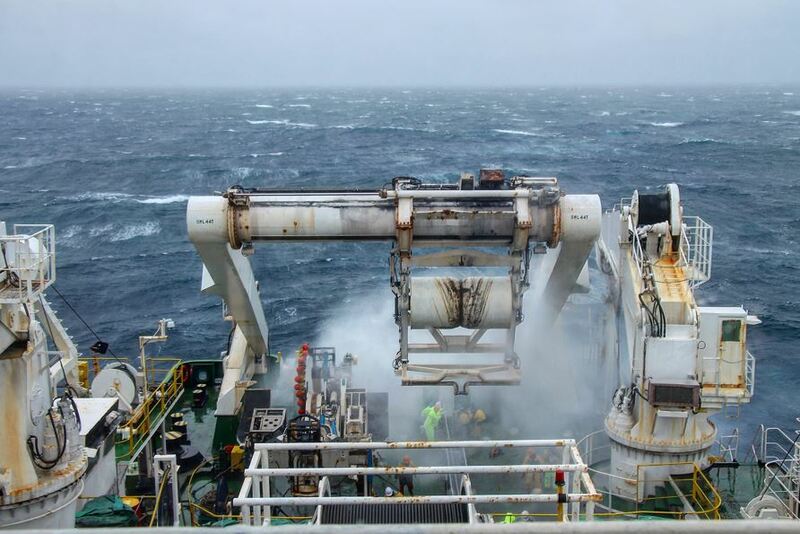 A best-in-class cable deployment control software was used to enhance a successful at-sea trial deployment of ocean bottom nodes in the Norwegian North Sea from August 17th to 23rd. 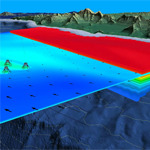 The trial was conducted by inApril AS, using their node-based seabed acquisition system called Venator and supported by Makai Ocean Engineering, Inc. with their world’s #1 subsea cable deployment software, MakaiLay™ – Seismic module. 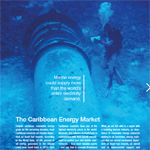 Makai was featured in an article by Revolve Media discussing the potential for Ocean Thermal Energy Conversion and Sea Water Air Conditioning in the Caribbean. 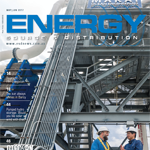 Energy Source and Distribution Magazine featured Makai’s OTEC Power Plant at the Natural Energy Laboratory of Hawaii Authority (NELHA) in Kailua, Kona while discussing exciting OTEC projects worldwide. Makai’s Jose Andres spoke with Revolve about seawater air conditioning or SWAC and its ability to contribute to the Caribbean’s energy transition to renewable, sustainable and local sources. This emerging technology has the potential to reduce the energy required for cooling in large buildings and resorts by up to 90%, resulting in millions of dollars in annual cost savings for some customers. Interested parties can contact Makai at SWAC@makai.com to request a copy of a pre-feasibility report on SWAC for Caribbean locations. Makai is excited to receive a prestigious U.S. national honor for excellence in technology research and development, the Tibbetts Award! Increase commercialization of federal R&D. Makai would like to offer a warm MAHALO to our loyal base of federal customers who have repeatedly put their faith in us to execute on their most difficult R&D projects. This honor would not have been possible without you. 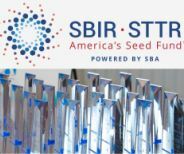 Makai would also like to thank the State of Hawaii, DBEDT, and HTDC for their continued support of Hawaii’s leading SBIR companies. See the State of Hawaii press release for more. Makai is proud to announce the successful installation and commissioning of a Makai-designed cooling water intake system for a large power plant in Upstate New York. Since final commissioning in January 2017, the system is now fully operational and supplying water to the power plant! It supplies 170,000 gallons per minute (~10.7 cubic meters per second) of cooling water. It is one of the nation’s first large utility plants to go through the EPA Clean Water Act, Section 316(b) process in its entirety. 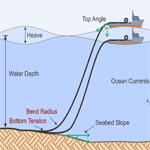 Makai is now offering an advanced cable laying course for operators who have managed real cable installations at-sea using MakaiLay. In addition to filling any knowledge gaps that operators might have in basic lay operations, this MakaiLay Level-II training course focuses on more advanced scenarios that might arise at-sea. 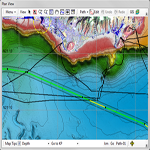 Makai has released version 6.0 of MakaiPlan Pro, which is a popular software for planning and simulating subsea power and telecom cable installations. 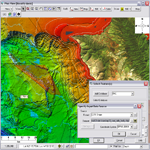 MakaiPlan Pro includes the tools of MakaiPlan, which is the industry standard GIS cable route engineering software. 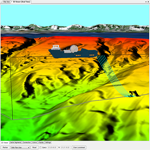 In addition, MakaiPlan Pro allows the user to perform powerful and precise 3-D, dynamic simulations of a submarine cable installation. The operator can quickly simulate an entire cable lay in advance from the comfort of the office at up to 50 times faster than real-time. This is useful for developing Ship Installation plans, performing pre-lay and post-lay analysis, and also for operator training. The operator can run advanced simulations for conducting Installation Feasibility Studies and Equipment Selection. 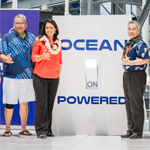 The latest idea to emerge from Hawaii’s pioneering alternative energy scene is Ocean Thermal Energy Conversion (OTEC), a process that produces electricity by using the temperature difference between the warm ocean surface waters of tropical areas and the much colder deep water below. It may sound strange at first, but this unusual path to collecting another kind of solar energy appears to work. Makai Ocean Engineering has constructed a 105-kilowatt test project at a cost of $5 million to prove the concept. It’s paid for in part by the U.S. Navy’s Office of Naval Research — the Navy has a goal to get 50 percent of its shore-based energy from alternative sources within five years — and the Hawaii Natural Energy Institute. Makai has been hired as an engineering consultant by Cornell for a project that will clean the intake pipelines for the university’s Lake Source Cooling system. The Lake Source Cooling (LSC) project uses cold lake water from Lake Cayuga to provide more environmentally-friendly cooling for air conditioning, reducing the campus energy use for cooling by 80%, and saving an average of 25 million kilowatt-hours per year of electricity. 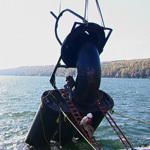 Under the current pipeline cleaning contract, Makai helped Cornell define the work scope, suggested and interviewed potential contractors, reviewed contractor proposals, and Makai is now providing technical support during the construction process. 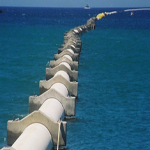 Makai was the engineering firm originally responsible for designing the offshore pipelines, custom retrievable intake structure that can be lifted to the surface to facilitate cleaning, and shoreline crossings for the LSC system. Makai is expanding its environmental and coastal modeling services for clients who discharge into, or withdraw from, the world’s oceans, lakes, and reservoirs. Recently, Makai completed a 3-year effort to adapt the EPA-approved Environmental Fluid Dynamics Code (EFDC) into a robust and flexible dispersion and water quality modeling tool. The new Makai EFDC modeling system (M-EFDC) is specifically designed to simulate and predict the dispersion of large industrial water flows. Combined with Makai’s experienced team, the new M-EFDC enables cost-effective modeling solutions ranging from initial project planning to more rigorous regulatory submittals and watershed management efforts. Makai Ocean Engineering, Inc. is now providing expanded corrosion services at their Marine Corrosion Laboratory (MCL) in Kailua-Kona, Hawaii. 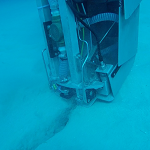 The MCL is located at the Natural Energy Laboratory of Hawaii Authority (NELHA), making it the only location in the U.S. where large flows of shallow and deep seawater from depths up to 3,000 feet are continuously available. The MCL is staffed with corrosion engineers and state-of-the-art equipment for a wide range of research, development, testing & evaluation (RDT&E) services in the field of marine corrosion. 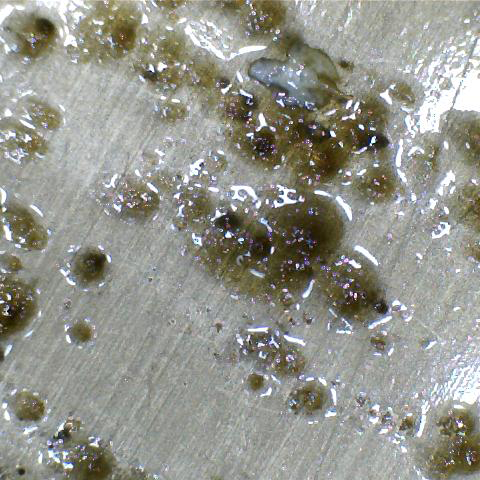 Capabilities at the lab include both basic corrosion science research and applied engineering solutions for the prevention of marine corrosion, and are complemented by a strong relationship with researchers at the University of Hawaii’s Hawaii Corrosion Laboratory. 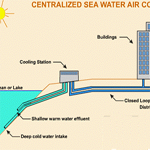 Makai Ocean Engineering has completed a feasibility study of a district cooling system that uses deep cold seawater, known as seawater air conditioning (SWAC). The study was commissioned by CAF – Development Bank of Latin America, with co-financing from the Agence Française de Développement (AFD) and used Makai’s recently upgraded district cooling software. 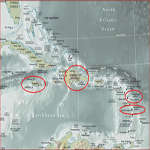 Eight locations in the Caribbean were analyzed for SWAC development, which were then down-selected to two sites considered to be most promising: Montego Bay in Jamaica, and Puerto Plata in the Dominican Republic. The final report that summarizes the study is now available upon request. 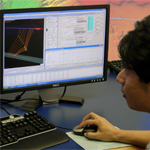 Makai Ocean Engineering, Inc. continues to address issues experienced by the subsea power cable industry by significantly enhancing the world’s leading submarine cable lay software, MakaiLay, and its desktop simulation sister product, MakaiPlan Pro. Specifically, three key features are being integrated into the Power Cable modules for each of these products that are built specifically for power cable installers. 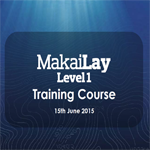 Ocean-Tec Systems is offering a five (5) day MakaiLay Level 1 training course in Darlington, UK. Training will be provided by one of Makai’s experienced personnel, heavily experienced in the use of the application during both planning and cable lay activities. 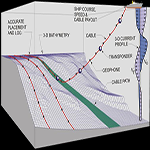 The course covers route planning, cable lay physics and cable installation. Additional course topics include data analysis, file I/O and troubleshooting. 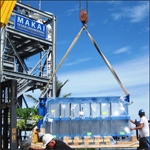 Makai Ocean Engineering, Inc. has completed a contract by the Office of Naval Research (ONR) and the Hawaii Natural Energy Institute (HNEI) to research and develop Seawater Air Conditioning (SWAC) technology. SWAC is a method to provide cold air conditioning to buildings using a district cooling system that uses an available cold water reservoir as its source (usually deep cold water from a lake or ocean). SWAC can provide air conditioning using about one-tenth of the energy required for conventional air conditioning. The Navy has recently expressed interest in implementing SWAC district cooling systems at island bases using the Energy Savings Performance Contract (ESPC) model. Makai Ocean Engineering, Inc. and the University of Hawaii (UH) have jointly developed a novel autonomous underwater vehicle (AUV) that can effectively deploy seafloor sensing equipment by combining features of a free-swimming AUV and those of a bottom crawling vehicle. This ‘hybrid’ autonomous underwater vehicle is called the Bottom-Skimming AUV, or B-SAUV. The B-SAUV is propelled by thrusters but can touch, glide along, and interact with the seafloor. Makai Ocean Engineering, Inc. has been awarded a competitive Small Business Innovation Research (SBIR) grant focused on developing a new deep-drifting sonobuoy. 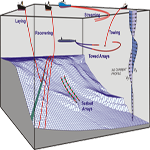 Sonobuoys consist of a surface float connected by a tether to a hydrophone array that is used to listen for submarines in the ocean. 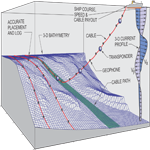 Sonobuoys with hydrophones that have a short/shallow tether have a limited listening range. 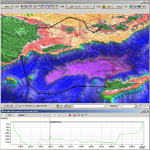 This software was recently purchased and used by the OUOCI Consortium to install a subsea power cable in Venezuela for the Chacopata-Margarita Submarine Cable Interconnection Project. Pacific Business News will honor business and nonprofits at the Business Leadership Hawaii dinner awards banquet on Thursday, November 13 at the Sheraton Waikiki, Maui & Kauai Ballrooms. 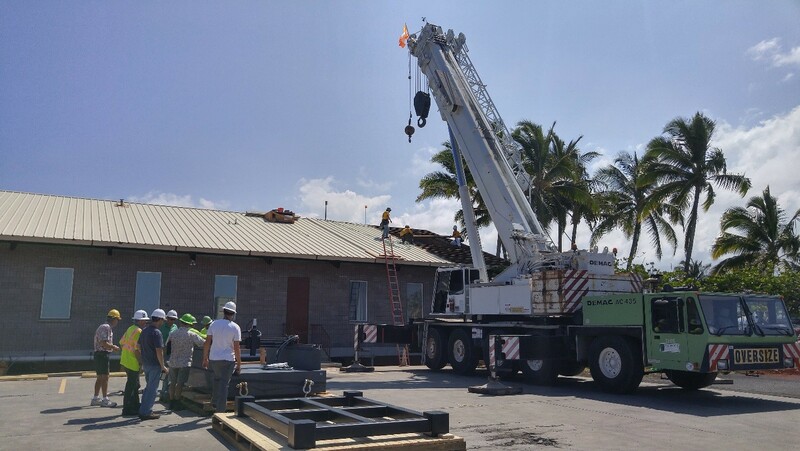 Makai’s Ocean Energy Research Center (OERC) in Kona, Hawaii has received several major pieces of equipment for its Ocean Thermal Energy Conversion (OTEC) demonstration plant. 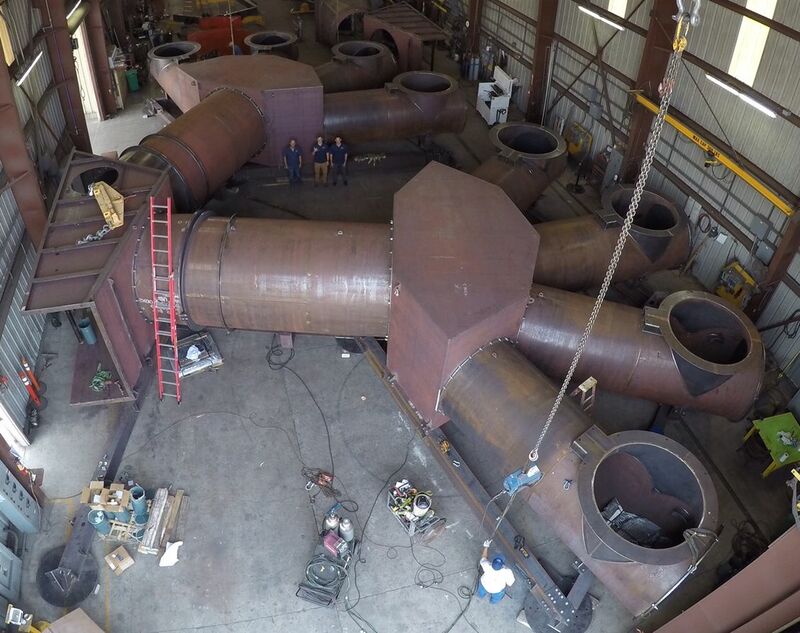 Two new heat exchangers (2-megawatt thermal duty each), and a 100 kilowatt ammonia turbine-generator have arrived and are in various stages of installation and testing. 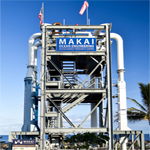 To date, Makai has tested four condensers and three evaporators at the OERC, each made of either aluminum or titanium. The facility has been designed to easily swap out OTEC heat exchangers, and test as many as six simultaneously. This month, the Hawaii-based firm Makai Ocean Engineering will prepare to hoist a small turbine up a spare steel structure with a commanding view of the Pacific Ocean. There, with a flood of near-freezing water piped up from 1,000 meters below the surface, the company will put what will be the largest experimental ocean thermal energy plant through its paces. It’s being called the Tahiti Mahana Beach Resorts and Spa, but it’s about so much more than beachfront relaxation. For the people of Tahiti, it’s an economic shot in the arm, a 130-acre project in Punaauia, near Papeete, that includes a 500,000-square-foot shopping mall, condos, convention center, casino, office space, movie theaters, bowling alley, parks and promenades, all for local use, as well as hotels ranging from three- to six-star. 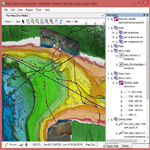 Makai has released version 6.0 of MakaiPlan, the industry standard GIS cable route engineering software. 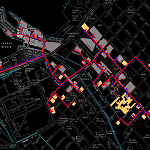 MakaiPlan is a tool to create and edit submarine cable routes, define cables and in-line bodies, define and adjust slack, instantly create Route Positioning Lists (RPLs) and Straight Line Diagrams (SLDs), and estimate system costs. Multiple planners and designers work interactively on cable installations with easy access to and exchange of project data. 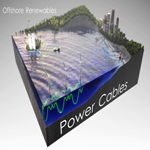 Makai Ocean Engineering has recently made multiple sales of their full-featured GIS route engineering software, MakaiPlan, to power cable installers who serve the offshore renewable energy market. “We have been monitoring the offshore renewables market closely,” said Dr. Jose Andres, CEO of Makai, “and we are excited that our planning and installation tools are being adopted so rapidly. Makai Ocean Engineering has received a $3.6 million contract from the Hawaii Natural Energy Institute and the Office of Naval Research for research and design on the marine renewable energy known as Ocean Thermal Energy Conversion, or OTEC. Makai will perform this work at their Ocean Energy Research Center, located in Kona, Hawaii, which is the largest OTEC research facility in the world. OTEC holds great promise because the tropical ocean is earth’s largest solar collector. S. B. 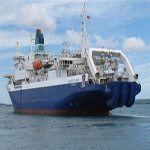 Submarine Systems Co., Ltd. (SBSS) has installed Makai’s cable installation software, MakaiLay, on the CS Fu Hai, a submarine cable ship. SBSS installed the latest MakaiLay software with full control capabilities this summer while the CS Fu Hai was dry-docked in Hong Kong. Makai engineers trained CS Fu Hai crewmembers to operate the software during this time. With this purchase, SBSS displays confidence in MakaiLay to reduce the cost and risk of operations for submarine cable jobs in the telecom, power cable, and offshore oil & gas exploration markets. Global Marine Systems Ltd is in the process of converting six of its cable installation and repair vessels to begin using the latest Makai software technology. With the addition of GMSL to the list of customers, Makai software products are now used by every single large installer and most of the smaller telecom cable installers in the world, accounting for more than 80% of the world’s cable installation fleet. 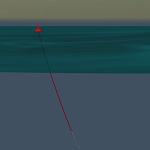 GMSL vessels will now use the latest versions of three different Makai cable software products. Makai Ocean Engineering releases the Makai Repair software. 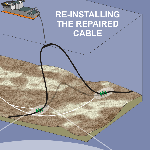 Makai Repair extends the capability of Makai’s industry-standard submarine cable planning and installation software suite to include at-sea cable repair and recovery operations. It is a standalone product which runs on a standard PC operating with Microsoft Windows 7, 8 or XP which is installed on a repair vessel. The software is available in two versions: Standard, and Professional Pro, depending on the client’s needs. MakaiPlan 5.1 has been released. 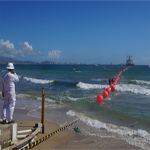 With over 270 licenses sold worldwide, MakaiPlan is the telecommunications industry standard software tool for creating submarine cable routes, defining cables and in-line bodies, editing routes, defining and adjusting slack, and instantly creating RPLs and SLDs. 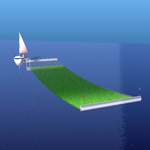 This version includes many new significant features also useful to the marine renewable industry where acceptance of MakaiPlan is rapidly growing. 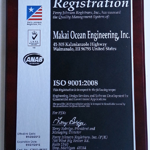 Makai Ocean Engineering, Inc. has achieved ISO 9001:2008 certification, an internationally recognized standard for quality management systems. The Certificate is only awarded to companies that can demonstrate their ability to consistently provide products and services that meet customer requirements, placing customer satisfaction as a key component of those requirements. The ISO 9001:2008 certification for engineering, design services and software development for commercial and government applications ensures that Makai adheres to documented processes and procedures and continues to improve the efficiency and quality of products and services worldwide. Makai Ocean Engineering announced two endeavors in assisting the Navy to reach its alternative energy goals. 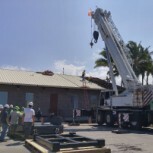 The first is the design, planning and procurement of a 100-kilowatt turbine-generator for the Hawai’i Ocean Thermal Energy Conversion (OTEC) Test Facility. The second project includes the installation and operation of this turbine-generator, as well as the design and testing of two new OTEC heat exchangers. “Makai Ocean Engineering is committed to developing alternative energy solutions that are impactful and ahead of the curve,” said Billy Pieper, Vice President, Makai Ocean Engineering. Looking for an older press release? View our archives by clicking here. To keep an eye on Makai, check out our newsletter below.